Categorized as: Africa, Education, Girls & women, Grantee, Leadership, Our Partners, Stories, Youth & Tagged as: Africa, High school, Job training, Leadership, Life skills, Malawi, Youth on December 10, 2015. Our partner AGE Africa creates a brighter future for rural women by education and providing opportunities for rural girls in Malawi. Our foundation is constantly striving to create larger impact. While that statement may seem obvious (isn’t every foundation trying to increase its impact? ), it is especially true for the Skees Family Foundation. We jokingly say that we’re the smallest foundation with the biggest ambition: to end global poverty in our lifetime. We believe the fastest AND longest-lasting ways to accomplish this goal are through education and jobs. In order for us to realize our ambitions, we depend on our amazing grantee partner organizations to do the work we cannot—directly in the field, helping those that are most in need. Advancing Girls’ Education in Africa, or AGE Africa, is one such organization. 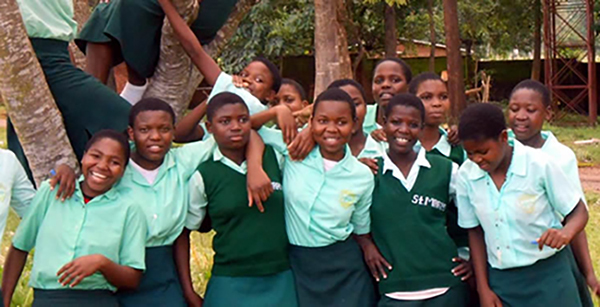 AGE Africa’s mission is to provide life-changing opportunities to young women in Malawi through targeted initiatives in education, mentoring, and leadership development. 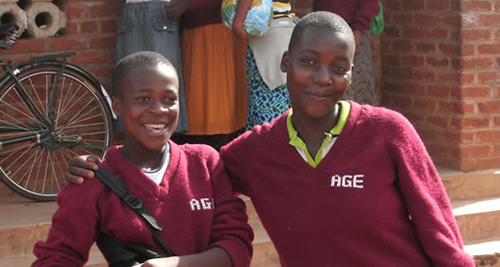 AGE Africa works to help disadvantaged but academically gifted young girls to attend and finish secondary school in order to pursue opportunities beyond high school that they typically would not have. The organization uses a three-pronged approach in order to provide a well-rounded program to the promising young girls. AGE Africa provides comprehensive scholarships that pay for tuition and other fees, creates extracurricular programs that focus on life skills education, leadership development, self-advocacy and career guidance, and helps with post-secondary transitions into either promising careers or higher education. 88% of the girls in their program have completed all four years of secondary school and 74% of their alumnae are pursuing higher education, have wage-based employment, or are engaged in small businesses that put their income well above the poverty line. AGE Africa has provided training in life skills and career guidance to over 1,152 girls and have awarded over 350 scholarships since the beginning of their work in 2005. Last year, AGE Africa leveraged our $5,000 to create a giving campaign that brought over $8,000 in additional funding. This year, the organization went even beyond that, leveraging our $10,000 grant to raise over $24,000! As a foundation that is seeking to create a tremendous amount of change in the world, news like this is music to our ears. 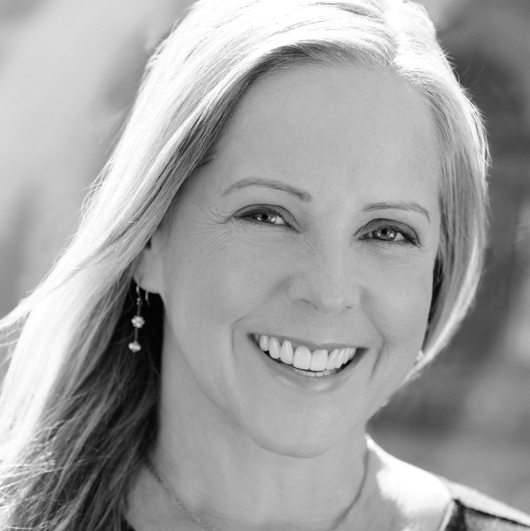 We’re extraordinarily lucky to partner with organizations that use their team’s creativity, innovation, and, of course, dedication to create meaningful change. All photos courtesy of AGE Africa. LEARN more about AGE Africa’s three pronged approach click here. DONATE directly to AGE Africa’s mission to provide life-changing opportunities to women in Malawi, here.